You wouldn’t know it from how ubiquitous they are with anime, but adaptations can be a tricky thing. On the one hand, you have the crowd of pre-existing fans, people that love the source material and will not hesitate to complain about any changes, whether they be for good or for ill. Then, you have the crowd of prospective new fans, people who are not at all familiar with the story, who won’t notice or care that things aren’t entirely faithful if the series is still entertaining in its own right, plus all the people in between. It’s always a tossup of which aspects should be more important, leading to questions like (to quote myself), “If a work is excellent in its own right, but a poor adaptation, can it be considered ‘good’?”. … This is not a series to answer that question, because while it is a poor adaptation, it is far from excellent in its own right. Before my nerves fail me, let’s do this. Our teenage main character for this bout of anime is Tohno Shiki, a fairly unassuming young man with glasses. Due to complicated circumstances, Shiki had lived away from his father and sister for years on end, and is only just now returning since the father has died, the hope being to reestablish bonds with his sister and live like a family once again. At that point, given no further context, there’s a lot of different ways the story could go, but Tsukihime, being part of the Nasuverse, is a tale of the supernatural. In fact, Shiki wears glasses, not to compensate for his poor eyesight, but because since a young age, he has had the ability to perceive, as well as cut, the world’s death lines; thin bindings that hold everything together, from tables and chairs to living beings. One day, when walking home from school, Shiki sights a blonde beauty walking by, and for reasons unknown is overcome with feelings of intense bloodlust. Unable to fight the urge, Shiki attacks the girl, repeatedly slicing her lines of death and leaving the corpse in seventeen pieces. With this event as a trigger, before long, Shiki’s daily life, both at school and at home, is invaded by a number of otherworldly beings and phenomena, mostly of the vampiric variety, and mostly of all centered on the supposedly dead blonde girl, named Arcueid. Before we get off to the races, let me set some things straight. First off, I haven’t skipped “The Good”, we’re just starting with “The Bad”, because that’s more conducive to the review in this case. Secondly, while I have read the visual novel, I will refrain from directly comparing with it, because I am always of the opinion that an adaptation should stand on its own, and not require any prior knowledge from the source material to be enjoyed. I touched on this about a month ago in my tirade about The World God Only Know’s adaptation gap, and it is still something I feel very strongly about. An ideal adaptation should not rely on other unadapted material to explain background information or fill in plot holes. That just doesn’t fly. And unfortunately, that is a good segue into my first problem with Tsukihime. Put simply, Tsukihime’s plot is a little all over the place. On paper, there are a number of interesting pieces, but it continuously focuses on the wrong pieces. Initially, the story is about vampires fighting vampires, with Shiki involved because he can cut death lines, which is a very useful combat ability. After that point, the plot ostensibly moves on to the main characters hunting down another vampire, a serial killer, but you never get a feel for that until pretty close to the finale. Instead it take detours to send the characters to the arcade, the movies, an amusement park, while simultaneously complicating things by playing out some weird drama with Shiki’s friends and family, stuff that is inherently not very interesting when there’s a supposedly serious conflict looming over everyone’s heads. Plus, apparently Tsukihime think the best way to explain out how serious that conflict is is by sitting the characters down and having them exposition to each other. It is a rather serious problem that plagues the series quite often. The cast constantly exchanges dialogue fleshing out the plot or the other characters, but that’s all it is: dialogue. Nothing is ever incidental or subtle. You’re never given the opportunity to think “Character A is acting this way because of Event B”, and instead are told “Character A will act this way because of Event B”. This is evidently not a universe with room for subtlety. And you’d think that a plot like that, which thrives on exposition, would at least be pretty tightly knit and logically sound, since the creators have the ability to by proxy directly feed the viewer relevant information, but it isn’t. There are several key plot points that go either under-explained or unexplained, such as “why did Shiki randomly attack Arcueid at the beginning of the story?” I mean, I know since I read the visual novel, but the anime doesn’t even pretend to make heads or tails of the event. These problems with the complicated, poorly-explained story are compounded by a bizarre use of flashbacks, especially early on, often cutting to scenes that took place only minutes prior instead of just doing a normal chronological sequence, which would have been easier to follow and probably more effective. That might’ve been a little quick, but I just rattled off several issues with the execution of Tsukihime’s story that naturally combine to create something that is, put bluntly, not very good. Luckily, anime is a visual medium, so even if the story falls apart at the seams, if it still looks solid, then there’s an argument to be made that the experience was not entirely wasted. Tsukihime does not have this luxury to fall back on. The series was produced by JC Staff, who in the past couple years have created things like Food Wars, Prison School and the Dungeon one with the insufferably long name, all being fairly popular and pretty good looking series, but I guess we all gotta start somewhere. There’s no way around it, Tsukihime looks bad. Granted, this is 2003, so maybe I’m being a little unfair, but I was never, ever impressed by the animation. Anything further back than close-up shots of faces or upper torsos look as if they were drawn by toddlers. That’s a mean, exaggerated comparison, but it gets my point across rather nicely. More often than not, the scenes and characters come off as incredibly stiff and stilted, if not outright motionless, and when there is action, it’s passable at best, nothing to even remotely be worth remembering. If I had to say one positive thing about the visuals, it’s that the backgrounds are alright, but that’s pretty much it. And this is in the domain of sound, not animation, but there’s also some hilariously weird, over-the-top sound effects, especially when characters fly off, almost like a jet engine. Of course, I shouldn’t be laughing at the sound effect at the close of a dramatic scene. It obviously ruins the effect. That is, if the effect isn’t already ruined. I figured, if I was gonna watch the Tsukihime anime, I might as well as well go all the way and watch it dubbed. So I did. I was even kind of looking forward to it, being attached to some fairly accomplished names, Wendee Lee as a senior student, Ciel, and Michelle Ruff as Arcueid. That was a mistake. I should’ve known I was in for a rough time when Lee noticeably played three bit roles within the first half-an-episode. The worst performance is unfortunately the most important, that of Tohno Shiki. His voice sounds like a nasally nerd that, in another show, belongs to a side character who would get beaten up by bullies just to show how big and bad they are, but the voice itself isn’t the issue here; it’s the poor delivery. The actor, Steve Staley, stumbles through the everyday conversation about as well as you could hope, but he’s depressingly half-hearted during emotional scenes that require any level of passion, and if you’re familiar with the story of Tsukihime, there are a few scenes that definitely require more than a vague monotone. However, I’m willing to bet that the actor isn’t to blame, but rather his direction, because Lee and Ruff’s performances are also pretty weak, and I know they can do better (Wendee Lee, for instance, is Faye in Bebop, if you didn’t know). Now maybe none of these issues, even in conjunction, would be a total, absolute deal breaker, but none of them are my biggest problem with this series. Listen, I’ve never found Tsukihime the most enthralling story to begin with, but this show is just boring. There’s long stretches of time, whole episodes that come and go, where nothing really happens (in the middle third especially). I’d like to elaborate on this point, but there’s nothing to elaborate on. The pacing is in slow-motion, and it utterly fails to hold your attention 8 or 9 times out of 10. It might masquerade and pretend that things are happening by having the characters talk seriously to each other, but really nothing’s happening. Going completely opposite of the opening, I also liked the ending. Not the ending credits theme, mind you, I mean the actual ending, the conclusion to the story, specifically the last minute or two. The rest of the final episode was still the nonsense that the plot had devolved into by that point, but the actual last scene I can say I’m a fan of. It’s somber, but doesn’t try and contrive a generic “happily ever after”. The soundtrack as a whole is alright, too. Classical instrumentation, some nice violins, organs, a few haunting piano refrains. It wasn’t anything amazing, or even very good, but it wasn’t bad, which is clearly more than I can say for everything else. And surprisingly enough, out of the show’s whole lineup, the character I liked most of all was Arihiko. Arihiko is Shiki’s best friend and a relatively unimportant side character that doesn’t do much at all, but his lines and personality felt refreshingly loose and natural compared to the rest of the cast. He didn’t do anything, and was only around to crack some remarks or occasionally lighten the mood, but he was shockingly likable. 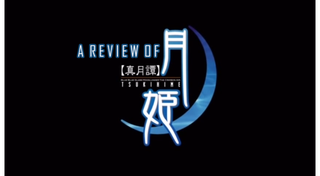 I actually went into Tsukihime determined to fight the majority opinion, confident that most of its complaints stemmed from failings as an adaptation, not failings as a standalone show (somewhat like the first Fate/stay night, but that’s a discussion for another time). However, I was wrong, and its poor reputation is very well-deserved. The show flops in just about every way it could and failed to engage me on more or less every meaningful level. As with just about anything in existence, there are nuggets of not-terrible-ness in the Tsukihime anime, but that’s all they are: nuggets, “small chunks”, meaning that the other, large chunks are not-not-terrible, or in layman’s terms, terrible. So, after taking everything into account (as well as my own subjective enjoyment), on a scale from F to S... congratulations Lunar Legend Tsukihime. You are the lucky recipient of my first ever F. It was an honor, in a twisted, masochistic sense. And now, at the very end, allow me a brief comparison to the visual novel. This anime hodge-podges a number of scenes and plot elements from the source, plus some original ones (even a f**king hot spring scene), seemingly at random, butchering the story in the process. Do not watch this anime. But, as I do feel obligated to tell you, Tsukihime is currently available for legal streaming from the Anime Network. Please. Please don’t. It’s not worth it. I’ve heard the manga’s decent, read that instead if you don’t want to touch the visual novel. Please.